The latest U.S jobs report showing unemployment at a 50-year low, while great news for active job seekers, signals an increasingly tight market for recruitment teams. An historically low unemployment rate (3.8%) has major implications for attracting top talent in an aggressive time frame and requires talent acquisition teams to be ever more creative in their hiring strategies. Now more than ever, working with a partner that brings with it the ability to scale up your recruitment is a must. Working with the team at Career Opportunities International (C.O.I), our clients can free up their internal resources to focus on the general hiring strategy. 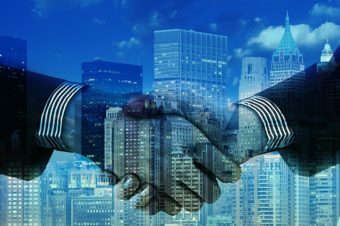 A partnership enables companies to leverage additional recruitment tools and resources on an as needs basis, without the long term financial commitment of buying them in on a permanent basis. Commitment and trust are by far the most important prerequisites to a successful business relationship. Your recruitment partner needs to ‘own’ the relationship, invest the time and resources upfront to get to know your corporate culture so they can truly represent your brand and get candidates excited about your company and potential future career path. And you need to trust them with your brand as they represent you in the marketplace. Flexibility is vital. In this current environment, a ‘one size fits all’ approach will fail, a customized approach to the candidate market is important for each and every search. Accountability and results-focused; these go hand-in-hand. Always team up with a recruitment firm that has the confidence in their own abilities to structure their fees accordingly. Billing the major part of the fees only when the hire has been made, guarantees accountability, speed and efficiency and a joint ownership of the entire recruitment cycle. An experienced partner with a successful track record helps to build trust and establish immediate credibility with both active and passive candidates in a tight market. C.O.I. has been established over twenty years, and our Managing Partners have over 50 years’ experience in global recruitment between them. We have consistently produced outstanding results during deep worldwide recessions, as well as strong economic times.